Dogs Bite Decatur Al: LANCASTER PA - A LOOSE PIT BULL ENTERED A HOME WHEN A FAMILY MEMBER OPENED THE DOOR TO LEAVE AND ATTACKED A 9-YEAR-OLD GIRL INSIDE HER HOME !!!!! LANCASTER PA - A LOOSE PIT BULL ENTERED A HOME WHEN A FAMILY MEMBER OPENED THE DOOR TO LEAVE AND ATTACKED A 9-YEAR-OLD GIRL INSIDE HER HOME !!!!! 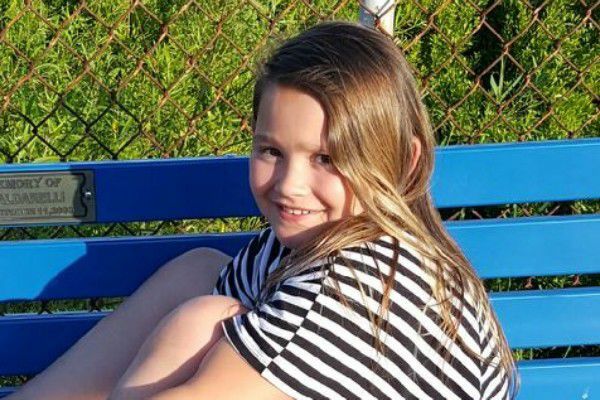 A stray dog that mauled a 9-year-old girl’s face and head would have likely killed her, her grandmother said. Instead, Carmen Colondres, Alana Rivera's grandmother, fought off the dog Wednesday morning. “Listen, that dog’s a monster,” Colondres said as she recounted the attack Friday. The dog also remained at large; Colondres believes someone took it from Lancaster. Meanwhile, Alana was in stable condition Friday at Hershey Medical Center, said her aunt, Sugeil Rivera, who is Colondres’ daughter. Alana lives with her aunt. Alana had surgery Wednesday to reattach her scalp and ear and was expected to undergo more surgeries, Rivera said. “It’s not life-threatening, but it is serious,” Rivera said. The attack happened in Rivera’s home in the 300 block of East Frederick Street around 7:45 a.m.
Rivera was taking Alana’s older brother to school. He’s in sixth grade and his classes start earlier, she said. Colondres, 52, and Alana were sitting on a sofa just inside the front room. The front door to the house was open. Alana was telling Colondres she wanted to make a welcome home sign for her father, who is in boot camp and is to return home in December. Then, a large, muscular PIT BULL came inside, Colondres said. Police have described the dog as a pit bull-type, BROWN WITH WHITE ON ITS FACE, CHEST AND PART OF ITS FRONT LEGS. Immediately, Colondres said, the dog attacked Alana. Colondres threw herself onto Alana to try to protect her. Motioning to her head, Colondres showed where the dog bit Alana, tearing her scalp and ear. Blood poured. Alana’s eyes closed. Colondres pulled a sweater and pillows over Alana for protection as she swung at the dog with pillows. Rivera’s dog jumped a gate and attacked the stray. Colondres said she tried to pull the dog off the sofa, away from Alana. During the struggle, the dog bit and scratched Colondres. Four punctures from the dog’s teeth line the inside of Colondres’ right forearm; a two-inch purple oval bruise marks the inside of her right forearm. Red scratches line her legs. And then the dog ran out of the house, east toward Lime Street. Colondres hopes the dog is found before it can hurt anyone else. But she fears it’s been taken away from Lancaster, explaining people at a store told her that’s what they heard happened. But no one is saying anything, and that’s not fair, she said. “The only thing I want it is, find that dog and do something with that dog because (it) can endanger other persons,” she said. Anyone with information about the incident or the whereabouts of the dog and/or its owner is asked to call Yadira Garcia, the Lancaster Police bureau’s dog law enforcement officer at 717-735-3453. Authorities said persons should not approach the animal if it's seen loose on the street but should contact police at 717-664-1180 or 911. Anyone wishing to remain anonymous can submit a tip through the city police Crimewatch page. Officers were told that when an unidentified person opened the door to leave, an unattended pit bull entered and attacked the girl inside her home. The girl attacked by the dog was rushed to a local hospital, and then was transported to Hershey Medical Center for additional treatment. No information on her condition was immediately available. The child victim suffered severe injuries to the area of the head as a result of the dog bites. After initial assessment and treatment at a local hospital, the child was transported to Hershey Medical Center for additional medical treatment. Yadira Garcia, a dog law enforcement officer, spoke with residents in the area who have similar dogs. But none matched the description provided by the victim's family. Anyone with information about the attack, or the whereabouts of the dog, is asked to contact Garcia at 717-735-3453. Anonymous tips can be submitted through the Lancaster County Crime Watchwebsite. Dogs that continually attack children (and/or helpless targets). It makes my blood boil! I hate bullies! I hate that they destroy EVERYTHING normal and peaceful in seconds. Why are they being made pets?!!!! They are ugly killers!!!!!!!!!!! Only a pit bull will invade strange territory/house to attack. That is one of the freakiest facets of pit bull behavior to me. Many dogs are territorial of their own property, but I've never heard of a non fighting breed going into someone else's home to attack! I had my doubts about this one...it appears others have their doubts, too, although we all know that pits love to invade homes.